We are happy that you've made it here. This FAQ page serves to help navigate you through the community, so you can be sure to get the most out of your membership. Below are the main components you’ll likely want to know about. As always, if you have any questions at all, you can always reach out to our support team at help.wonderfulunion.com. We are always here to help you out (well, almost always - our team is available 7am - 3pm Pacific Monday through Friday). Your dashboard is the central location where you will go to do a lot of your posting and editing for your profile. Here you will find blog access, order history, external codes and more. Check the status of any orders placed through the site. ‘Ready’ means the order has been received, ‘Shipped’ means it is on it’s way to you, ‘Attention’ means there may be something wrong and you should reach out to customer support. If there is ever a presale opportunity that requires a special code, you will see it appear in your dashboard at a specified time & date - depending on when the pre-sale is. It will be underneath a header that says 'External Codes'. Typically you won't need a code for pre-sales, but if the need arises this is where it will display. M.E.I.N. is unique in the sense that pre-sale windows are determined by your original join date. Members who have been active for 10+ years get first access, followed by members in the 5-9 year range, and lastly members who have been active for under 5 years. Please note: all ticket/package information will be made available at the start of pre-sales. 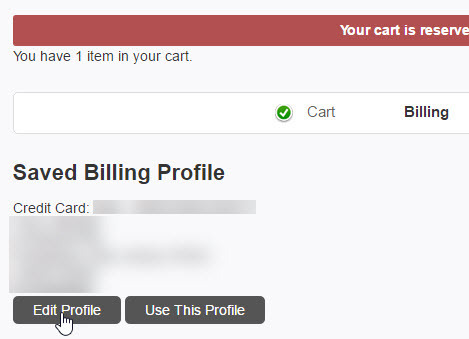 You can update your billing information as you are purchasing an item from the store. To begin the checkout process, place the item in your cart that you would like to purchase (this can include tickets or VIP experiences). Then click CHECKOUT. Here you can edit your payment method for all purchases in the M.E.I.N. store. You can also update your Billing address in this area. When you are finished modifying your payment method, please click SAVE PROFILE. Next click USE THIS PROFILE and continue to check out as prompted. We strongly urge you to use Chrome, Safari or Firefox for the best browsing and shopping experience. To reset your password, please go to https://melissa-etheridge.wun.io/auth/reset/ and type in the email address attached to your Wonderful Union account. We will email a password reset link to the email address you submit. Once you receive that email, please click the link. Once you click the link you will be prompted to create a new password. After you've created the new password, you can go to mein.melissaetheridge.com/auth/login to log in. If you're having trouble resetting your password or have not received the link within the last 30 minutes, please let us know and we will happily assist you further. 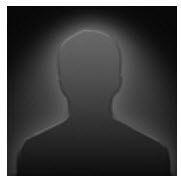 Your avatar is your profile photo, and what other users will see when they visit your page. Navigate to your chosen profile pic, (make sure it's appropriate and in good taste please) Click on the picture, then click OPEN at the bottom right. Once the picture is chosen, click UPDATE located at the bottom right of the page. 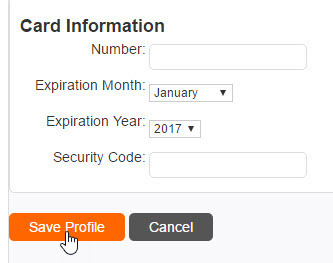 Your new profile picture should appear in your profile immediately, but might take a few minutes to appear elsewhere on the site. This is where you are able to add any outside links that you may want to appear on your profile (your flikr account, your Instagram, etc) Go to the dashboard and click on 'Links', name the link (i.e; My Facebook’) and then paste the URL (i.e; www.Facebook.com/iloveME) and it will now appear on your user profile. Find other M.E.I.N. members like you! You can even search by keywords, gender, recent members, oldest members, recent blogs and highest points earners. Once you click on someone’s avatar, you are taken to their full profile, where you can add them as a friend. They must approve this request before you are officially friends. Go back into the dashboard and click 'Blogs' - just like you would if you were creating a new blog. This time, click on 'Blog Listing' and you will see a list of all blogs you've created. At the end of each blog in the lower right-hand corner, you will see options for Read / Edit / Delete. Almost every action you do within M.E.I.N. can earn you points, and points can be redeemed in the points store where we are always adding new items. Please note there are no current points items available in the store, but that could very well change in the future. Every one of these actions will earn you a set number of points, and the more active you are, the more points you get. Just be careful not to spam! Commenting on another members profile by using numbers, letters, emoticons or anything else that wouldn't be considered part of a discussion, or a true "comment"
You can check when your M.E.I.N membership expires in the Active Subscriptions section of your Account Dashboard. At the beginning of each month, we email M.E.I.N. members whose memberships are expiring that month. To ensure you receive these emails, please consider using a Gmail account, and adding [email protected] to your address book. Each morning, our support team goes through new M.E.I.N. orders to make sure that customers keep their seniority. You can expect to receive an email with check in details for your VIP Meet & Greet approximately 24 to 48 hours prior to the actual show. Please retain that email as it also contains the link to download the photos from your Meet & Greet! (Photos may take up to 10 days to be posted). We strongly recommend using a Gmail or Yahoo email account to ensure you receive all M.E.I.N. emails. Other servers (like AOL) often block and do not deliver M.E.I.N. emails. Photos can take up to 10 days to be uploaded, so please keep this in mind when looking for your photo. All photos will be uploaded HERE. I haven’t received any M.E.I.N. emails. What’s up with that?! We love sending you emails - so if you haven’t heard from us, chances are, the messages got stuck in your spam folder, or they’ve been blocked entirely. First, do a check of your spam folder. If you still don’t see anything (AOL users especially) please contact support and let us know. We ask that if you are using an AOL email address, that you consider switching to a Gmail account. We generally have little to no issues with reaching you there! 7. I have questions about the Melissa Etheridge Cruise. Can you help? If you do not know which email address you used to register for M.E.I.N., please email [email protected] with your full name and specify that you are looking for your login information for M.E.I.N. If you need assistance with booking, please contact Sixthman here.